You may register up to THREE children per form. For questions regarding the registration process or payment, please contact Amanda Bakay at abakay@tlsf.org. For questions regarding camp content and curriculum, please contact Angel Kilyan at akilyan@tlsf.org. Please review the following parental release which can be printed for your records. You will be asked to sign off with electronic signature during the registration process. 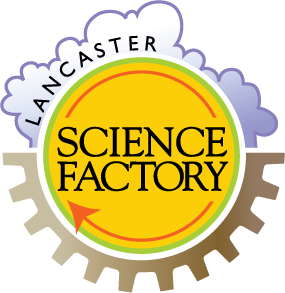 How did you hear about Homeschool classes at the Lancaster Science Factory? Your child will NOT be released to any person who does not appear on your provided list. By typing your full name here you certify that you have read and agree to the terms of the parental release form above. By typing your full name here you certify that you have read and agree to the terms of the photo release form above. Class dates and times are subject to change. Please call 717-509-6363 for any questions about homeschool programming and to confirm class schedules. Join us for all six homeschool lessons during our Spring 2019 season. Classes are held from 1pm - 2:30pm on the following dates: March 7th, March 21st, April 4th, April 18th, May 2nd, and May 23rd. Unit 1, Lesson 1 Mercury, Venus, Earth, Mars, Jupiter, Saturn, Uranus, Neptune, and yes, Pluto! The planets in our solar system have similarities and differences. Students will learn about the Planets while molding Mercury, performing fizzy experiements, and setting up Saturn's rings. Take home your own Solar System. Unit 1, Lesson 2 Continue exploring the sky with this lesson about stars. Learn about the Chemistry in every star and find out why stars are only stable for 90% of their lifetime. Use your keen eyes to find constellations by the season and then construct the constellation under which you were born. Unit 2, Lesson 1 Just after the Spring Equinox, students will dive into learning about the seasons. Observe and measure absorption of water, an important part of Summer. Make a feeder for backyard critters in the Autumn, and then learn about insulators to keep warm in the Winter. Finally, students will use a common object to make a little garden to celebrate Spring! Unit 3, Lesson 1 In our 3rd unit we dive into the Sea! Students will learn about tide pools and their unique ecosystems and design and construct a sand castle. Explore crustaceans and take one home with you! Unit 3, Lesson 2 Dive deeper into the oceans for this sixth and final class of the season. Find out how tall you can build a kelp tower. Students will discover who eats who under the sea and experiment with density as we explore different zones of the oceans. Finally, we'll say goodbye with a sweet sea-treat. Members enter code for discount.